Gysmi 160P | Elko G.C. 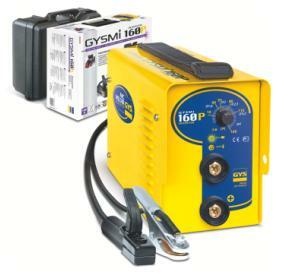 Welding unit with inverter technology piloted microprocessor. The arc dynamic of the product is unique and revolutionary on the market. Can be used with all types of electrodes: rutile,basic, stainless steel, cast iron in direct current. Very handy, thanks to its small weight (4,1 kg), its highly reduced volume and its very low consumption (plug16A with AM fuse).